Pessimism is a universal epidemic which has permeated the hearts of so many and is negatively impacting the minds, and souls of people everywhere. Chronic negative thoughts about the problems we are facing today with regards to jobs, homes, marriages, child rearing, the economy and the uncertain state of government, and racial division, in addition to stark differences of opinions about everything from politics to faith to footba ll, has created a cancer of negative thinking that is spreading rapidly throughout our country and our world. But just because the world is negative, doesn’t mean we have to be too. We all have the power within ourselves to intentionally choose to be positive, despite the circumstances we face personally or are happening in the world around us. The inner peace and joy that comes from the miracle of a transformed and renewed mind, a renewed perspective and outlook on life, is unmatched. With a transformed heart and mind comes a transformed life, because where optimism and positive thinking grows, so does joy and happiness, even when one’s circumstances remain the same. Just as negativity is contagious, so is optimism, so our choice to transform our thinking might not only change our lives, but other people and even the world we live in. Below you will find 5 tips for helping you begin to retrain your brain and tap into the joy-filled life of optimism you have been longing for. When we change the way think, we change the way we feel and live, because as we think, so will we be. Think of the circumstances that often make you feel as if you’re sinking, whether emotionally, mentally, spiritually or physically. Think about what emotions you struggle with most on a daily basis with regards to those circumstances, such as fear, anxiety, sadness, grief, anger, unforgiveness, etc. Ponder how much life would be different if you could escape from those negative feelings, and feel positive about them instead. Ask God to help you control your thoughts so you reclaim authority over your feelings instead of allowing your feelings to boss you around and control your life. Often we sink because of how we think about what we’re going through, not because of what we’re going through. Make a personal commitment to anchor your heart and mind in positive thinking, because hearts anchored in God don’t sink. Make a list of what you are losing by maintaining an attitude of toxic negativity. Peace? Joy? Contentment? Happy relationships? Health? Invite God to help you see losses you may have not considered until now. Ask for open eyes to see the toll that negative thinking is having on you mentally, emotionally, spiritually and possibly even physically. When we begin to recognize the toll pessimism is taking on us, it can become our true inspiration and motivation for lasting mind transformation. What misconceptions about yourself, your life or your circumstances have you trained your mind to believe? Make a list of full sentences that you believe to be true about these things, and then ask yourself if God’s opinion lines up with your own. If there is a discrepancy between what you believe to be true, and what God’s Word says is true, devote energy into trying to retrain your brain to believe God’s truths over your own. Ask God to prick your heart each time you think the untrue statement again and remind you of His truth instead. Over time, you will come to embrace His truths over the enemy’s lies. Spend time in God’s Word and in prayer every day. Quiet time with our Lord can transform a heart and mind like nothing else. Although most believers know the importance of these habits, few actually make them a priority in their life. Set aside a specific time each day for prayer and scripture reading, and ask God to help you be aware of how your heart and mind are transforming and when you are successful in overcoming negative thoughts. Embracing a life of positive thinking doesn’t mean it’s always going to be easy. Be prepared for the enemy of our souls to try to keep you from being positive. Guard your heart and mind by asking God to help you avoid the whirlpools of negativity that try to bring you down and to be aware of when you get caught up in one of them. Each time you struggle with negativity, invite God in again and keep fighting to stay afloat. To dig deeper into each of these tips and learn how to apply them to your life, and to receive a daily devotion and challenge activity for each tip, sign up for Tracie’s free 5 Day Optimist Challenge. Visit her blog for more information at www.traciemiles.com. 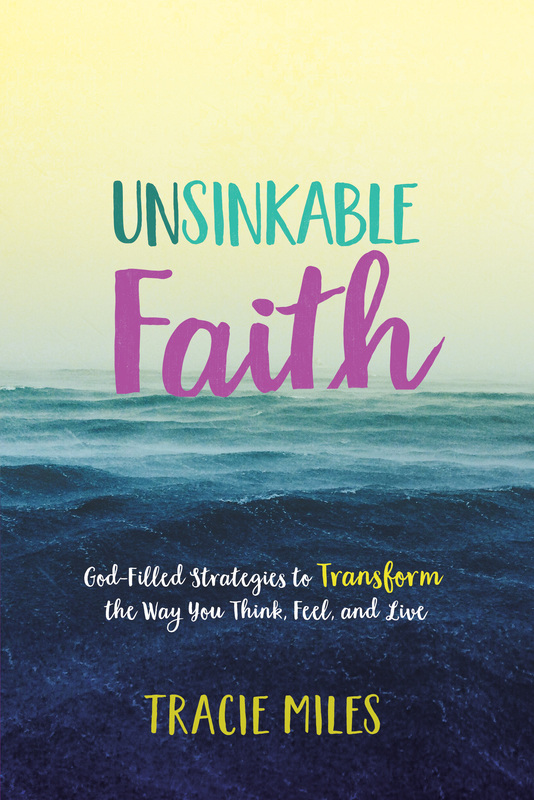 To fully make positive living a reality in your life, consider purchasing Tracie’s newest book, Unsinkable Faith: God-Filled Strategies for Transforming the Way You Think, Feel and Live. Tracie Miles is a national Speaker and Author with the internationally known Proverbs 31 Ministries (www.proverbs31.org) and has spent the last eleven years inspiring women to live intentionally for Christ In addition to Unsinkable Faith, she is also the author of two best selling books, Your Life Still Counts: How God Uses Your Past To Create A Beautiful Future(2014) and Stressed Less Living: Finding God’s Peace In Your Chaotic World (2012). 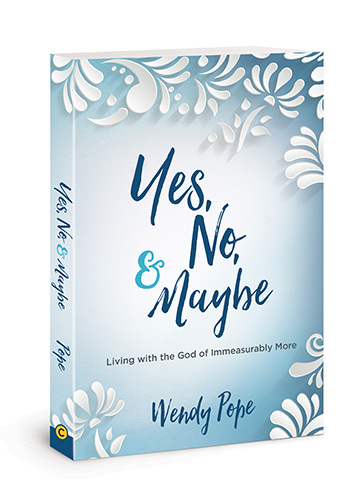 She is also a contributing author to the popular Zondervan NIV Women’s Devotional Bible, and the Proverbs 31 Encouragement for Today Daily Devotional Book. 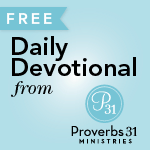 Tracie is a monthly contributing writer for the Proverbs 31 Ministries Encouragement for Today daily devotions, which reach nearly one million people per day around the world with encouragement from God’s Word. Tracie has 3 children and lives in Charlotte, North Carolina. You can connect with Tracie on her blog at www.traciemiles.com. Dear wendy Please pray for my renew mind I have been rejected abused and suffer from anxiety I need a friend. Good morning Wendy…thank you for sharing Tracie’s story and post. 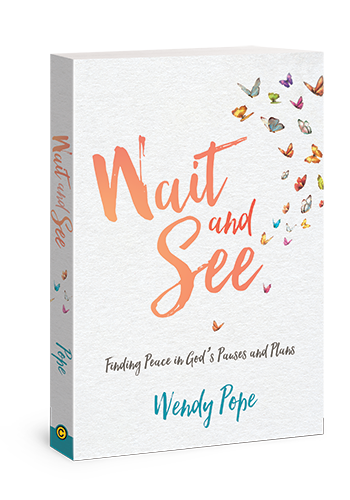 I would love to pass on a copy of this book to a special person in my life. I know it would bless her as much as it is blessing me. Thank you for all that you do for the Kingdom of God, through your ministry and through your work with Proverbs 31. You have all blessed me greatly over the past several years. Thank you for sharing this post today with us Carol. Truly encouraged by this today… really needed it. ? Would love to win a copy of Tracies new book. Ohhh my goodness I meant to say Wendy!! Don’t know where I got Carol!! I’m so sorry Wendy!! Ugh! My menopause brain is not fun!! ? “Often we sink because of how we think about what we’re going through, not because of what we’re going through.” —I never thought of it that way. I’m making a note of that! I can’t remember who, but someone once said we’ve got to get rid of “stinkin’ thinkin'”.